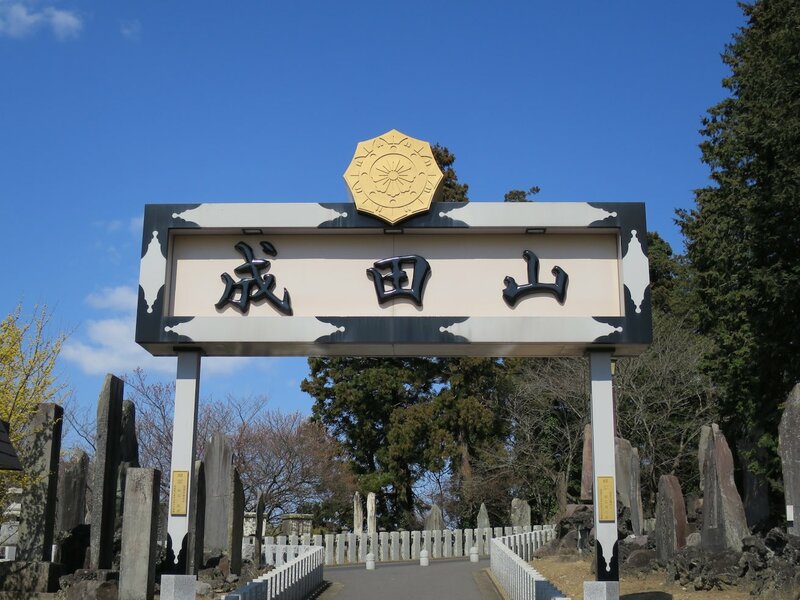 Narita-san remained a modest provincial monument to the end of a remarkable episode in early samurai history for hundreds of years. 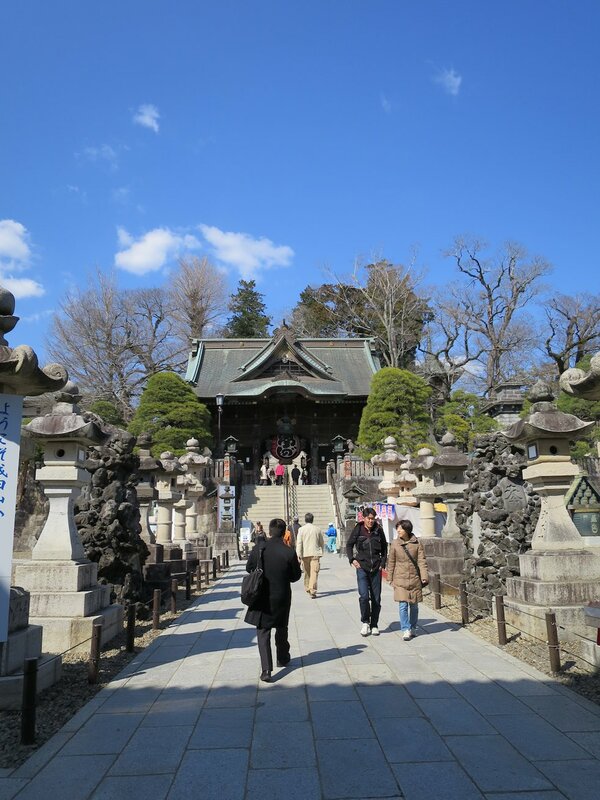 This began to change when Tokugawa Ieyasu moved the capital to Edo in 1603. Later samurai likely saw appeal in patronizing a temple associated with political and military success. In particular, Kabuki star, Ichikawa Danjūrō I (1660–1704), gave the temple much support. He often played part of its affiliated fire god, Fudō myōō. His fans made pilgrimages up from Edo to visit the temple. 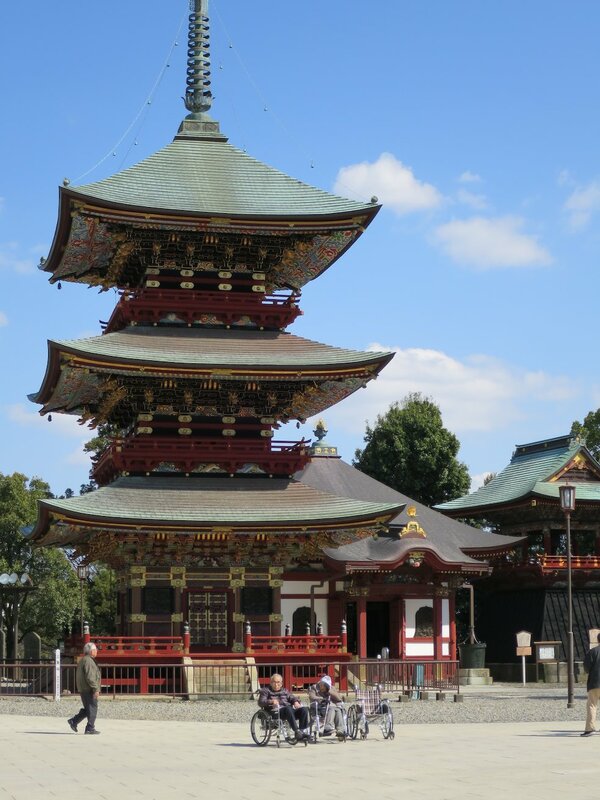 Today, it is one of the largest temple complexes in Japan. It is conveniently located very close to Narita Airport to the north of Tokyo. The Shakado Hall was built in 1858. It was used as the main hall until 1964. It was then moved and replaced by the current main hall. 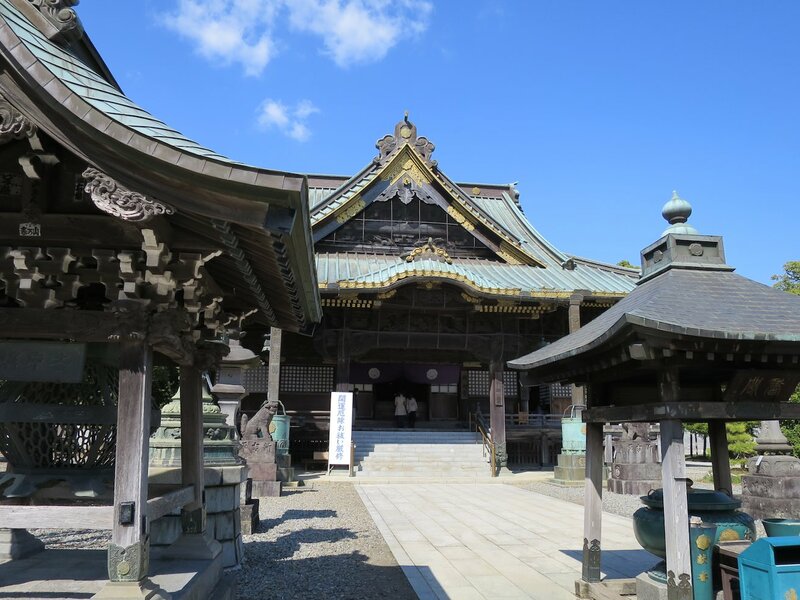 With a history of over 1000 years, the temple has a number of historic buildings. Narita-san's oldest building, Komyodo was built in 1701. The three story (25m) pagoda was built in 1721. Its older gate was completed in 1830. 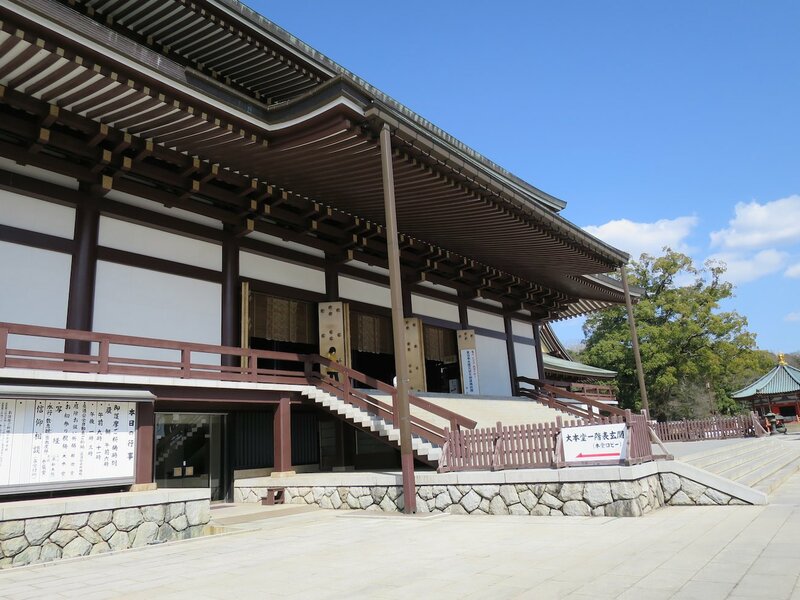 The Great Main Hall (1968) houses the image of Fudō myōō purported to have been at the battle in 940 and then enshrined here in celebration. It is displayed on special occasions. It is an important relic, but there are doubts that it is genuine. Art historians date it to no earlier than the 13th century. The surrounding park is popular for blossom viewing in the spring and foliage viewing in the fall. It is woodland park with trails throughout it. 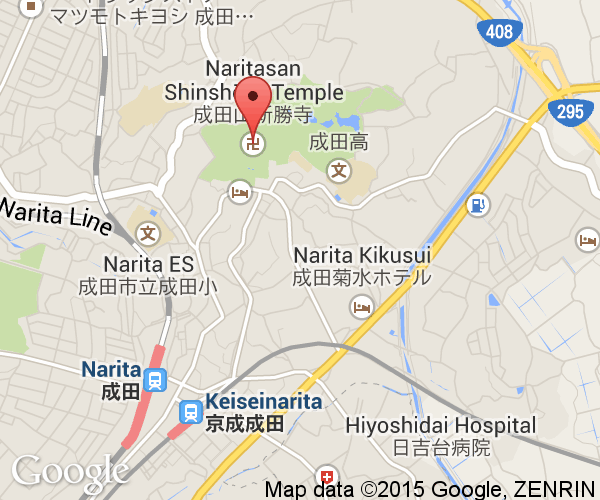 Narita-san calligraphy museum is in the northern section. As a popular location, the temple has celebrations year-round. It is popular for Japanese New Years (Dec. 31-Jan. 1). 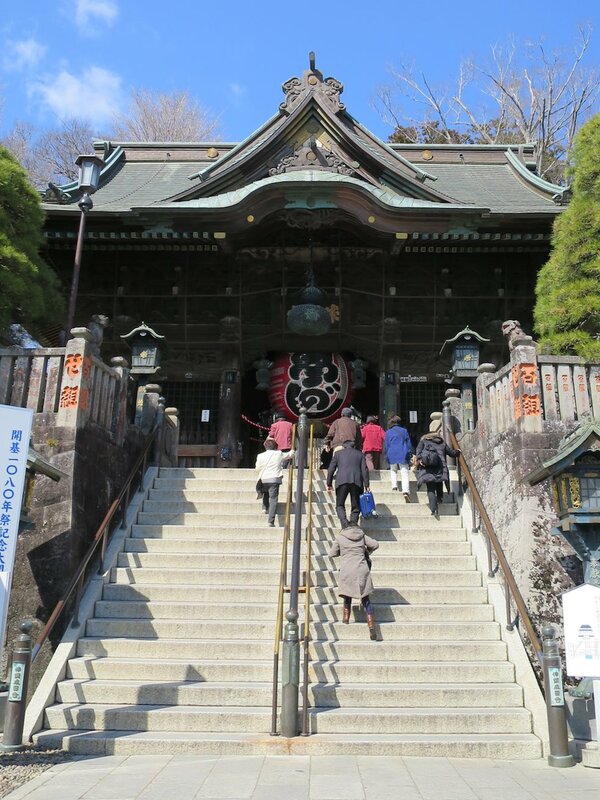 The bean throwing festival, Setsubun-e is held on February 3. A drum festival occurs mid April. Other festivals are Takigi Noh (third Sunday in May) and Gion-e (early July). In 940 during the mid Heian period, the Shingon Buddhist priest, Kanchō Daisōjō, was doing his best to offer spiritual support to the Imperial army dispatched from the capital in Nara (Heian) that was quite literally after the head of rebel samurai, Taira no Masakado. Masakado had been making a career out of quarrelling with local officials, running up a body count and then wriggling out of any punishment from the central government. His luck had run out, though. This time Masakado's enemies weren't buying his story that he had accidentally conquered the eastern provinces and it was just a misunderstanding. Appropriately, the priest was carrying with him the image of Fudō myōō (fire god often depicted with a fiery sword) that the founder of his sect had with him when a previous rebellion had been crushed. Upon Daisōjō's completion of the three week Goma fire ritual, the Imperial army caught up to Masakado's rebel army north of Tokyo and close to where Narita City is today. With a 10 to 1 advantage, it was a rout in which Taira no Masakado was killed. 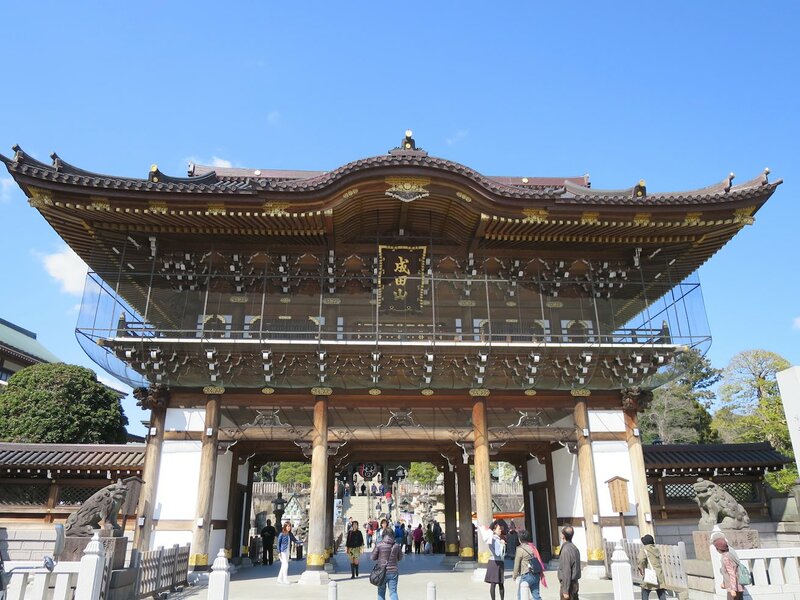 Kanchō Daisōjō declared that the image of the "Unmovable Wisdom King" had become too heavy to leave the spot and a small temple was built on the spot to enshrine it called Shinsho-ji or "New Victory Temple." Masakado's head was taken back to Nara and displayed three months later. Not finding the capital to its likely, the head allegedly then took flight back east to a fishing village called Shibasaki. 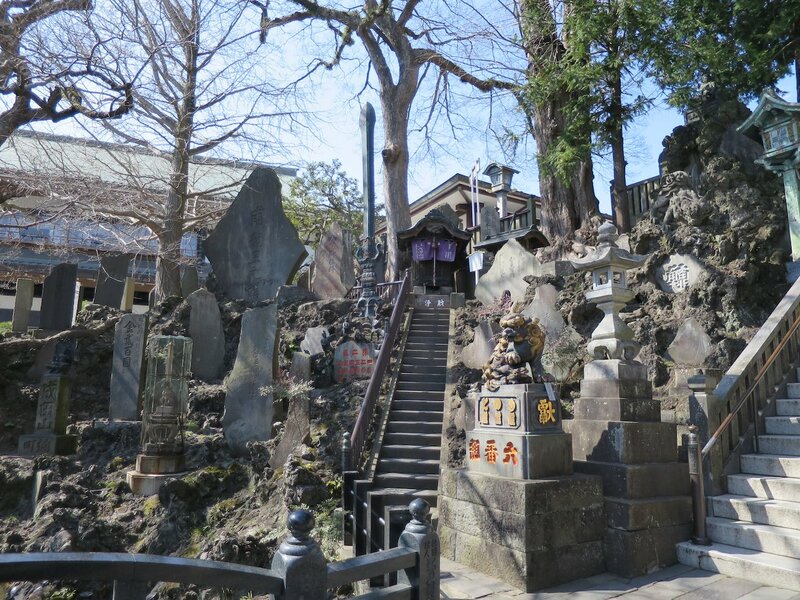 This village became part of Tokyo and a small monument to the head stands east of where the Imperial Palace is in Otemachi. 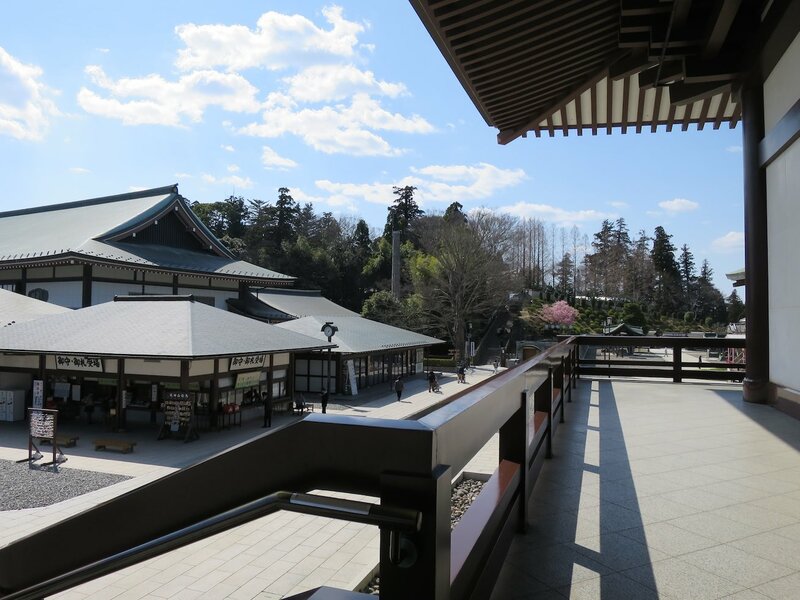 The temple is a practical place to visit for those with layovers at Narita Airport or as one last attraction before a flight. It is short trip from the airport to Narita Station on both the JR and Keisei train lines. From those stations, it is a 15 minute walk to the temple.